Next Level Photography complete before and after photo restoration. The original beloved photograph had developed severe water damage. 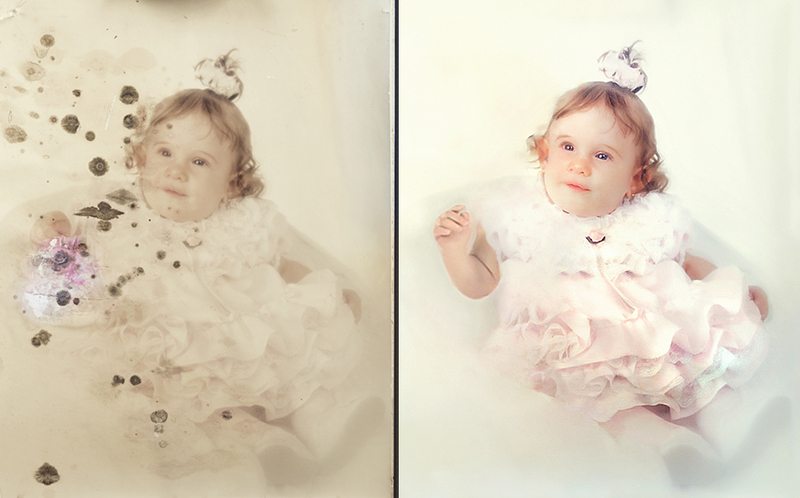 Photo restoration is about saving memories. Above, this 11×14 photo happened to be in a home that caught fire. Luckily the photo didn’t catch fire, but the water damage caused afterward was slowly destroying the photograph. This restoration took about 7 hours of detailed work. Photoshop is a wonderful, often magical tool, however there is no simple push-button solution for restoration. I start out by making a digital copy of the image. Using an advanced camera system and proper lighting, I photographed the original photograph and opened it up in Photoshop CC. For restoration it’s best to work at 100%-200% magnification. The mold spots were generally easy to remove with the clone stamp tool and healing tools. Luckily most of the most damaged areas occurred in the background parts in the image. Color correction happened over time using levels, hue saturation, and color balance, masking different areas to achieve the most flattering results. Obviously the most difficult task was recreating the arm. There was simply nothing left to work with from the original photo. You can see from the detail image below that the arm was completely gone. Severe water damage and mold growth on photograph. The little girl’s arm had to be completely recreated. The dress color was the last thing I worked on. I had thought throughout the process that her dress was white, but the more I studied the image the more I thought it was a pale pink, matching the little flower detail on the collar. 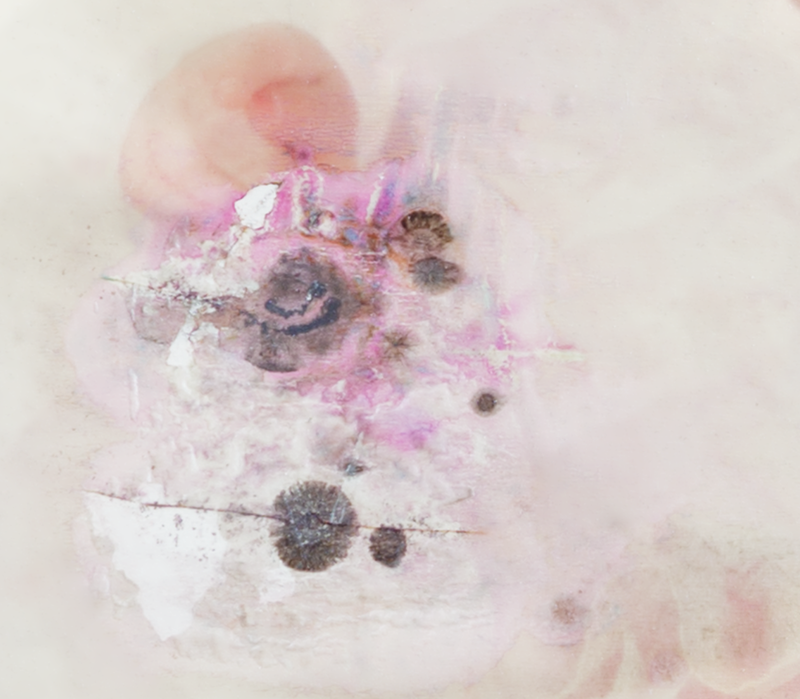 Using a color adjustment layer and the brush tool, I painted in different shade of pale pink, careful not to color the white layered lace. Finally I sharpened the image for print and made the client’s final restoration prints.